History of St Peter’s – In 1924 there were enough residents on Bribie Island for a school to be started. 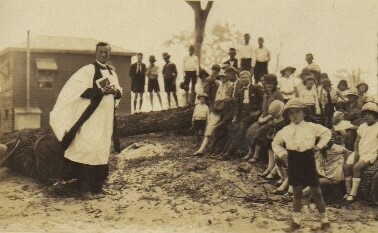 Not long after the school started, occasional church services commenced when Revd Mills came across from Caboolture. The original church building was sponsored by Mr William Shirley, who financed the project and built the church to his designs. It was built to be a hall and church combined with a hidden sanctuary located at the east end of the building. This allowed the building to be quickly converted for use as a church, picture theatre, dance hall or community hall. The first service in the new church was on 7th July, 1928, conducted by Revd Campbell who travelled from St John’s Cathedral. Archbishop Sharp dedicated the building for church use on 15th December, 1928. Evidence suggests that it was called St John’s Bribie Island when it was dedicated. However, within a few years, it was commonly referred to as St Peter’s. Sometime later the church was incorporated into the Parish of Redcliffe until June 1931 when the Anglican Church Mission became responsible for services. For over 25 years the director of the Anglican Church Mission, Revd Canon Miles, conducted regular services on the Island and gave religious instruction at the Bribie Island State School. Eventually, St Peter’s returned to be under the care of the Parish of Caboolture. In 1974 St Peter’s was refurbished and reoriented before being rededicated by Archbishop Arnott on the 5th May, 1974. 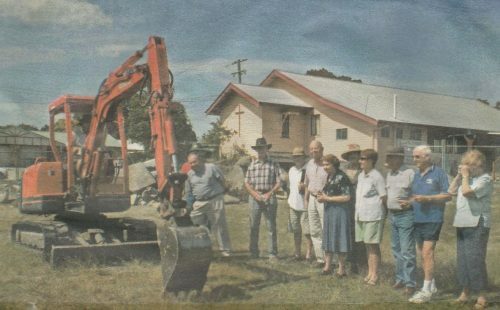 When Bribie Island and the surrounding areas were separated from Caboolture parish in 1989 to form the Parish of Bribie Island, there were plans to build a new church to meet the growing needs of the community. A fundraising campaign was launched in March 1998, resulting in the first sod for the new building being turned in October 2007. The building was completed and on the 2nd May, 2008, the keys were handed over to the parish. The new Church of St Peter, Apostle and Martyr, was dedicated by Archbishop Aspinall on 24th May, 2008. Thanks to generous giving and a variety of fundraising activities, St Peter’s became debt free at the end of 2015. This allowed for the church to be consecrated by Archbishop Aspinall on 5th November 2016. Copyright © 2019 Anglican Church Bribie Island. All rights reserved.